For the past 10-40 years thousands of California prisoners have been confined in CDC-SHU units indefinitely based on status [E.G., a gang label – active gang classification, based on innocuous association activity, and allegations from confidential inmate informants] – wherein, they have been demonized as the worst-of-the-worst, in order to justify decades of human rights violations – including state sanctioned torture for the purpose of breaking the prisoners, and coercing them into becoming known informants for the state –thereby placing such prisoners, and their families in serious danger of retribution; as well as, the severe-permanent physical and psychological pain and suffering to these long term SHU prisoners and their families – directly related to CDCR-SHU policies and practices, all of which violate U.S. Constitutional, and international legal principles [as summarized in the prior formal complaint and 5-core demands available online]. 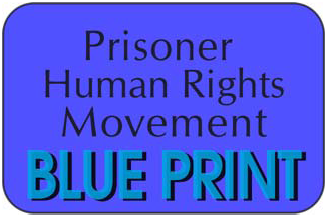 As of September 2011, these SHU-prisoners continue to be subjected to CDCR’s torturous human rights violations, inspite of the July 2011 peaceful protest via hunger strike, wherein thousands of prisoners of all races/groups united in their effort to bring mainstream exposure and force an end to such barbarous policies and practices. [CDCR has responded with more propaganda, lies, and vague double talk promises of change in time]. 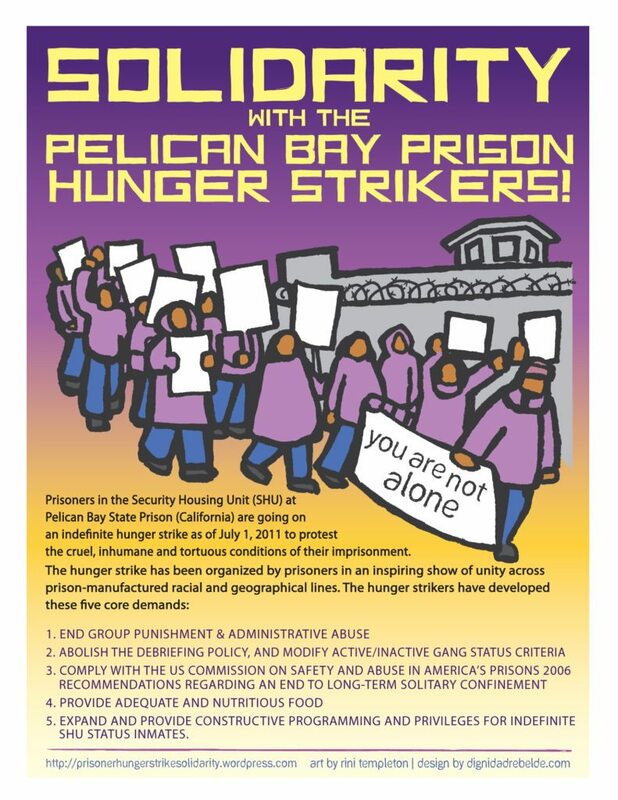 Beginning Feb. 5, 2010, dozens of PBSP-SHU prisoners and their family members and friends began sending copies of the formal complaint to numerous law makers, CDCR Secretary Cate, and to many organizations. CDCR’s response was,..”file an inmate appeal.” In May 2011, the formal complaint, notice of hunger strike for July 01, 2011, and Five(5) core demands, were served on CDCR Sec. Cate, and Warden Lewis. There was no response…[notably, these documents were all posted on-line in March 2011]. The H.S. began on July 1st at PBSP-SHU, and quickly spread to other prisons- at one point more than 6,600 prisoners participated at thirteen (13) prisons across the state! On July 14, 2011, CDCR Undersecretary Kernan spoke to the inmate representatives via phone conference, promising them that the (5) core demands would be addressed, with positive changes occurring over time. The reps asked Kerman to put details of the changes on paper for their review. On July 15, 2011, the reps received the documents provided by Kernan and determined the documents were not satisfactory because they were very vague and did not specify any changes of substance in relation to the (5) core demands. On July 20th, Kernan and additional CDCR administrators met with the inmate reps in the PSB-SHU parole board hearing room. Kernan made more assurances about positive changes to SHU policies being in the works, and stated he would meet with the reps again in a couple of weeks in order to provide specifics as to each of the (5) core demands re: changes and progress made. As well as agreeing that, other than adding an extra day of visiting each week…the rest of the demands on (#5) re: programs/privileges, were reasonable and would be granted, as a show of good-faith on CDCR’s part. All of the reps (14) then met and discussed the proposals from Kernan, and then decided to temporarily suspend the H.S., in order to give CDCR “a couple of weeks” grace period to keep their word on the (5) core demands [per Kernan’s request and assurances]. On August 19th, Kernan and other CDCR Administrators, met with the reps again, to follow up on the July 20th assurances re: specifically addressing the (5) core demands in detail. Kernan did not have anything on paper to specifically address any of the (5) core demands. The meeting consisted of Kernan’s words – in very vague, general terms, about CDCR staff working to come up with some type of step down program for inmates to get out of SHU, which does not require debriefing- informant status- and Warden Lewis stating (SHU) inmates would soon be allowed to purchase sweat suits, and have the use of a handball on the yard. The reps asked for specific details to be provided on paper to all SHU sections so all inmates can have something tangible in their hands. And Kernan eventually agreed to begin providing this documentation within (2) weeks. Instead, on Sept. 02, a memo dated Aug. 25th, entitled gang mg. proposal was only issued to the (4) principle reps; this document is again, extremely vague and general. It is not adequate nor acceptable! a. “The courts have found PBSP-SHU policies meet constitutional standards.” [This is false- see e.g., Madrid v. Gomez 889 F. Sup. 1146, at 1270, fn 217; see also, Griffin v. Gomez; Lira v. Cate, [cases cited in formal complaint!]. And, Chambers v. Florida, 309, U.S. 227, at 237-328 .
c. When asked directly by the Assembly if “debriefing places the inmate and his family in danger?” Kernan failed to answer! Notably Kernan stated that one certainty is CDCR’s plan to expand the number of prisoners subject to solitary confinement torture, by applying the policies and practices currently reserved for some suspected gang affiliates, to encompass all inmates categorized as party to any type of “disruptive group” [e.g., the tens of thousands of street gang affiliates in CDCR prisons]; as well as, CDCR’s intent to continue to rely on information from “debriefing” inmates, to keep other inmates in SHU indefinitely!! #1. We remain in (SHU) indefinitely, deprived of our basic human rights – based on illegal policies and practices, that amount to torture; torture of us, as well as our family members and loved ones on the outside. CDCR remains in denial, and continues to propagate the lies re: “worst-of-the-worst” 3000 gang generals, etc. – in order to dehumanize/demonize us, so as to maintain the status quo, and “continue to hammer us” [per Sec. Cate’s press statement earlier this year], and subject us to “harsh” conditions [per Kernan’s Aug. 23rd testimony]. These terms “hammer” and “harsh” conditions, are used in place of the word torture – and the fact is, CDCR’s intent is to break us down, and coerce us into becoming state informants! A violation of international treaty law-period!! This is not acceptable! CDCR has failed to produce any documentation re: details of how their so called “step-down” program will work, who it will apply to, exceptions-exclusions etc. ; and our problem is,…”step down” from what”? When someone has been in (SHU) deprived of normal human contact- especially the lack of any physical contact with family/loved ones, for 10-40 years [based on a “label” without being charged and found guilty of illegal gang activity]; yet CDCR is dragging it out, coming with nothing but words, and vague “proposals,”…which indicate we will have to remain in (SHU), jumping thru a bunch of CDCR’s security hoops, to advance through “steps”…inspite of (3 to 25+) years free of any serious rule violations! Plus, we’re certain that CDCR Administrators have no intention of ever giving most of us in PBSP short corridor, any real chance for general population! #2. CDCR has made clear that one certainty is, their plan to substantially expand on the use of “solitary confinement”, via targeting all prisoners deemed “disruptive groups” [security threat groups], which is defined as: “2 or more inmates who are collectively deemed to be a security threat” – e.g., all street gang affiliates, prisoners deemed political-revolutionary etc, etc, etc. [see also; CCR Title 15; sec. 3000 “Disruptive Behavior”] which with CDCR’s history of abuse of policies re:”prison gangs” in solitary confinement, it’s clear, things will get worse, not better. This new policy is a way CDCR plans to maintain their staff and funding status quo, in response to the Plata order to reduce prison population – it costs nearly double to house prisoners in solitary confinement! Our position is, CDCR’s “plans” to date, are not acceptable, and are another example of their intent to maintain, and expand on, “solitary confinement;” and demonstrate a failure of the entire CDCR management to make positive reforms! And, all long term (SHU) inmates should be released to general populations!! ASAP!! #3. Also, the medical care problems re: core demand #3, have not been resolved!! All PBSP-SHU inmates suffering from chronic disease, and denied adequate care at PBSP, due to deliberate indifference, and efforts to coerce them to debrief..should all be transferred to New Folsom Medical SHU, while waiting to be released to general populations!! This issue concerns our poor diet, small portions – all watered down, dirty trays, etc… and has not been fixed- in fact, its gotten worse since we came off the hunger strike on July 20th!! This lack of adequate nutritional food/vitamins causes all of us to lack energy and harms our mental/physical health – which greatly increases medical care costs! Plus, our lack of sunlight, and related lack of vitamin D, is a problem too..we need better food and portions, clean trays, and ability to purchase healthy food items and nutritional supplements ASAP!! There remains a problem with many of our program/privilege examples listed on demand #5, not being implemented [e.g., phone calls, canteen and package issues; T.V./Radio – channels; extra visiting time- what about the ability to get photos in visiting room, wherein c/o takes picture of inmate and visitors thru the glass?]. And, the ones that have been implemented in PBSP-SHU, have been done in a way that it makes it real hard for most inmates to get a photo, or art pens/drawing paper, because the warden has state via memos, that inmates have to have (1) year free of discipline, and they must first “have to go to committee to get approved” [Kearnan’s Aug. 29h memo to all SHU Wardens does not say inmates “need to go to committee” for these. In closing, to all SHU-prisoners and all our outside supporters, we wanted to let you know [as you can see from this], that this is far from over..and once again, hopefully for the last time, we will be risking our lives via a peaceful hunger strike on Sept 26, 2011 to force positive changes. Thus, we still need your support to contact the governor, etc, to force CDCR to make fair and reasonable changes to their policies, and indicated here. Thank you. From all PBSP SHU H.S. Reps.
 “People” what’s right is right, and we the people, should not, and will not, compromise ours, and families, health, safety, and security, to let CDCR continue to violate our human and constitutional rights and U.s. international law. This is wrong, and we the people need to end these evil inhumane violations! If not now, when? The time is now!!! The first tenet of corrections is “forgiveness.” Without this ethic, corrections is less about punishment and more about torture. Violating human rights has nothing to do with forgiveness, corrections and everything to do with torture. Failure to understand forgiveness moves you directly into the realm of torture. That men deserving of forgiveness must threaten suicide for human rights is the most telling aspect of Pelican Bay. Still, it is impossible to divorce the hunger strike from what put these men behind bars and into the SHU in the first place. The republicans cried “class warfare” when the president suggested taxing the rich. The president aptly replied, “it’s not about class warfare, it’s about MATH.” Pelican Bay is about math too. Men of color make up the majority in American prisons while representing the minority in society. If you think this situation is because men of color are more deserving of this fate than others then you owe it to yourself to read more, much more. Apply Las Vegas (or Wall St.) odds to men of color and you can only conclude that when it comes to the SHU, by definition, huge mistakes have been made. Human rights are and have been violated. But that’s not even the depth of loss we faith. American math says we have more unemployed since the Great Depression and that personal wealth among the middle class has plummeted. Personal wealth among people of color has gone through the floor straight to the basement. Sadly, it’s worse than just people of color losing their homes, jobs and means. It is about lost opportunity. As an American, I realize our dire straights will not be legislated from Washington or even managed from American boardrooms. Our dire straights are only addressed when the full power of our citizens are brought to bear. In this regard, my interest in human rights triumph at Pelican Bay is a selfish one. We need those men back in society. We need their minds, their spirit and creativity. It’s bee too long since they sat down to dinner with their families and planned their futures. This is the power that fuels the “pursuit of happiness” and it begins with human rights. Insure human rights at Pelican Bay and get these men home where they belong. It is not about race,it’s about income.It’s only poor people that end up rotting in solitary confinment for crimes that are at times grossly disproportionate to the punishment,If you are poor and have to rely on the system for justice,God help you!Because you won’t get it. It’s actually about both. What you say about class is true but you are missing the fact that people of color are more likely to be targeted by police. Racial profiling is called racial profiling for a reason.